The head of the UN's climate science body says claims that UK scientists manipulated data on global warming should be investigated. Dr Rajendra Pachauri, head of the Intergovernmental Panel on Climate Change (IPCC), said the matter could not be swept "under the carpet". The allegations emerged after e-mails written and received by UK climate researchers appeared on the internet. The police are investigating whether the scientists' computers were hacked. 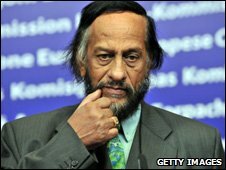 Dr Pachauri told BBC Radio 4's The Report programme that the claims were serious and he wants them investigated. "We will certainly go into the whole lot and then we will take a position on it," he said. "We certainly don't want to brush anything under the carpet. This is a serious issue and we will look into it in detail." The IPCC is the global scientific body established to review and assess the most recent scientific research on climate change. Every five or six years, it publishes a series of key reports. The findings in these documents are used by policymakers around the world to shape policies to tackle climate change. 4 Dec - Head of UN climate science body says matter cannot be swept "under the carpet"
The row broke out last month when hundreds of messages between scientists at the University of East Anglia's Climatic Research Unit (CRU) and their peers around the world were put on the internet along with other documents. Some observers allege that one of e-mails suggested CRU head Professor Phil Jones wanted certain papers excluded from the UN's next major assessment of climate science. Dr Jones, who has stood aside from his job pending the results of an internal review, strenuously denies this was his intention and says other e-mails have been taken out of context. Critics of the scientific consensus have claimed that the e-mails undermine the case that greenhouse gas emissions from human activities are causing global warming, and have dubbed the issue "ClimateGate". Phillip Stott, emeritus professor of biogeography at London University, says the allegations could have wider implications for climate researchers and policymakers. "The IPCC does not carry out climate research," he told BBC Radio 4's Today programme. "All it does, it brings together all the papers from round the world from peer-reviewing, etc, brings them together to make a position, but it depends of course on the legitimacy of the peer-reviewing process and that, in a sense, is what's being brought into question." Saudi Arabia's lead climate negotiator has said the e-mail row will have a "huge impact" on next week's UN climate summit in Copenhagen. Mohammad Al-Sabban told BBC News that he expects it to derail the single biggest objective of the summit - to agree limitations on greenhouse gas emissions. How does the average Joe decide if his efforts of recycling and cutting energy use is at all worth it? Jonathon Porritt, the former chairman of the UK Sustainable Development Commission, called the developments "very worrying" because the row threatened to undermine the integrity of the IPCC. "Without that integrity, politicians cannot necessarily trust what the scientists have been telling them," he warned. "Clearing up the issue is absolutely crucial." But he added: "Having said that, we do need to be careful about which voices we are listening to. "Whatever the significance of the e-mails are, it does not show that there is no link between human activity and climate change." The UK Energy and Climate Change Secretary Ed Miliband said the idea that the e-mail row would derail the Copenhagen summit was "nonsense". 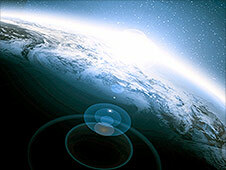 "One string of e-mails does not undermine the global science on climate change," he told BBC News. "There will be people who want to use it to say that this somehow casts doubt on Copenhagen or the scientific evidence; frankly, I think that is nonsense and I think we need to resist listening to those siren voices." The University of East Anglia has announced that it has commissioned an independent review into how the e-mails ended up on the internet. The review will cover a number of areas, including whether there is evidence of suppression or manipulation of data, and make recommendations about the management of its data.